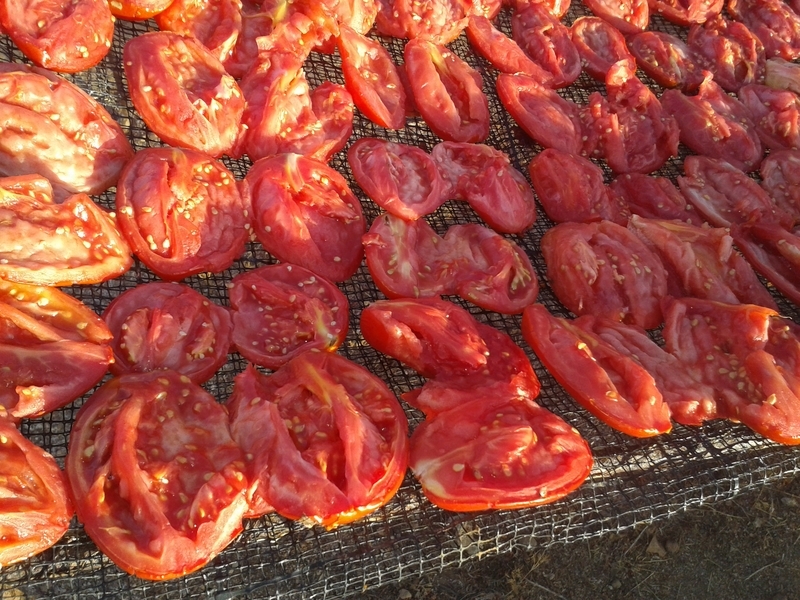 Naturally dried tomatoes under the sun on tables (liastres) where the product loses its moisture by adding salt. 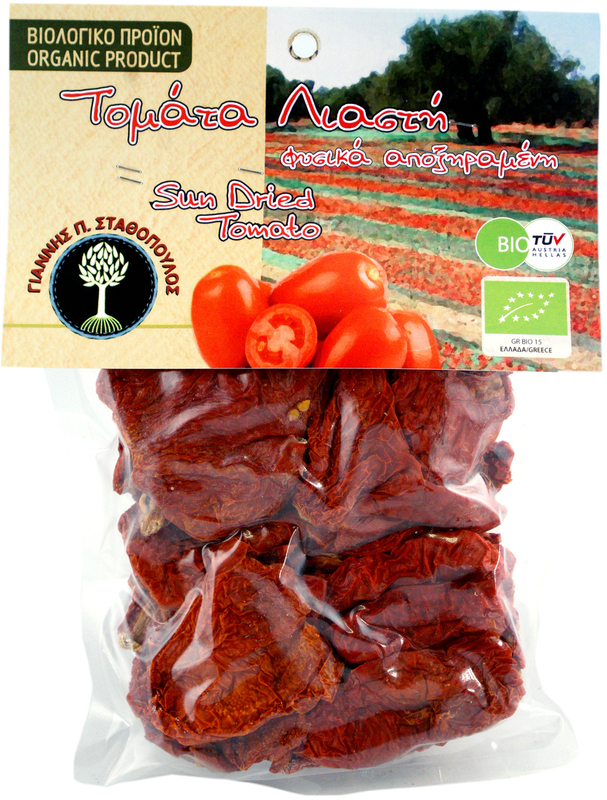 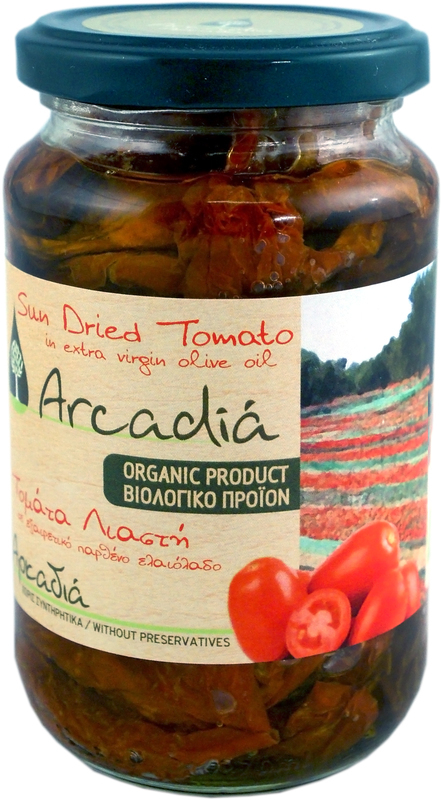 The tomatoes used are from approved organic farmers who follow the rules of organic farming, oval shape with flesh consistency. 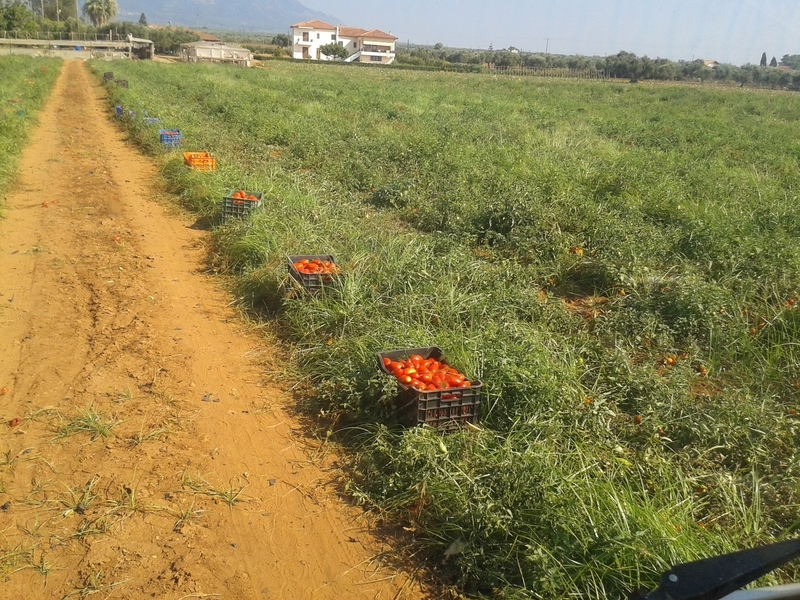 The fruit is harvested by hand, not by machine, picking red tomatoes in 3 different stages. 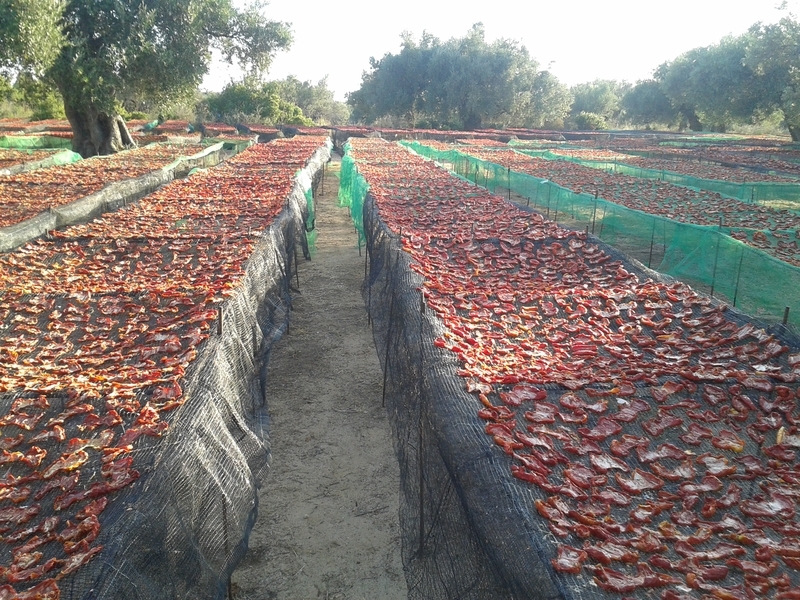 The fruit is transferred to the processing area washed and cut in half without splitting them and then they are transferred to tables where they are spread adding salt and covered with nets to protect them.